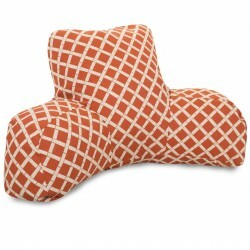 Now you can kick back and relax anywhere, inside or out, with this comfortable and supportive Reading Pillow. 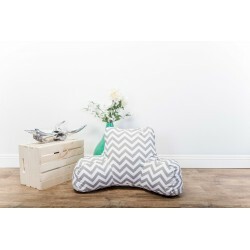 Stuffed with a super loft recycled polyester fiber fill, the reading pillows zippered slipcover is woven from Outdoor Treated polyester and has up to 1000 hours of U.V. protection.